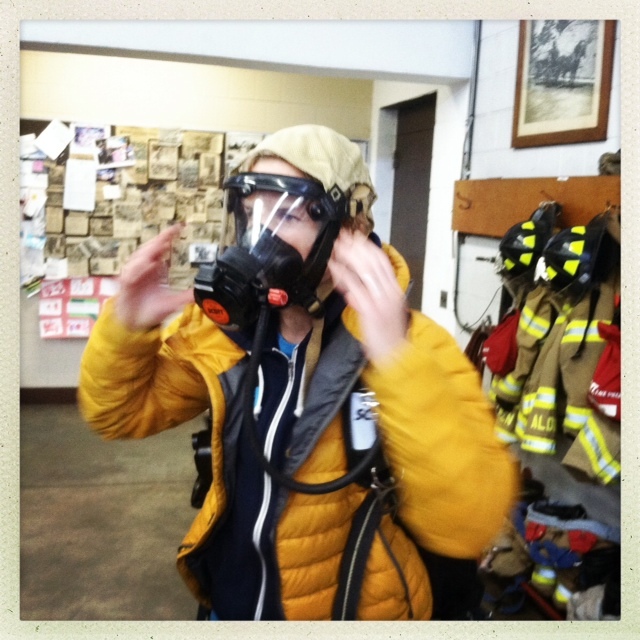 Karen getting fitted for the “Fight for Air Climb” on Feb 2. We got invited to participate in this race in full Fireman Gear as part of the Manchester Fire Department Team. If any of you would like to sponsor us and give to a good cause (American Lung Association) please talk to one of us. *Work does NOT commence until holder is in position. 10 Burpee Penalty per team for every hold broken.